The macOS Recovery partition means there’s less need to keep a bootable installer on a USB stick or external hard drive. But there are still lots of occasions when one comes in handy. For example, if you want to downgrade to an earlier version of macOS, or you want to temporarily boot into an earlier version of the operating system. And, although the Recovery partition is excellent and works well, having a backup, just in case it doesn’t work, makes a great deal of sense. There are two ways to make an external installation drive. The first is to use Terminal and type in a specific set of instructions. The second, much easier, method is to use software tool to do it for you. Here, we’re going to show you how to do it using Disk Drill, available in Setapp. USB flash drive - at least 12GB for Sierra and High Sierra and 8GB for earlier versions of macOS, or a spare external hard drive (one you aren't planning to use for anything else). macOS High Sierra Installer - download macOS High Sierra from the Mac App Store. Note: After macOS High Sierra has downloaded, it will automatically launch the installer to begin the installation process. Close the installer instead. If the version of macOS you’ve downloaded is older than the one you’re currently running, you’ll see a message saying that it’s too old to install, click Ok. The installer file will remain in your Applications folder. and please, don't forget to backup your Mac before you do anything. If you’ve previously downloaded macOS, it should still be in your Applications folder. Apple has changed the way it makes previous versions of macOS available. It used to be the case that you could download the most recent version, prior to the current version, from the Mac App Store’s Purchase tab. As of the release of High Sierra, that’s no longer the case. 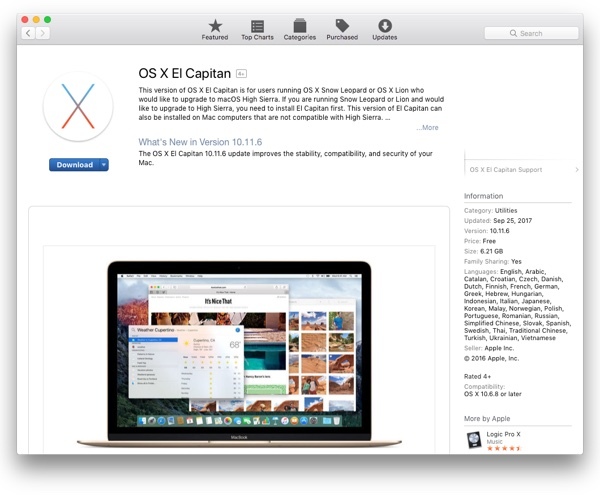 But the good news is you can go directly to the macOS Sierra 10.12.6 or OS X 10.11.6 El Capitan pages on App Store. If not, ask a friend or colleague if they have downloaded it and could give you a copy of the .app file. It will work on your Mac. 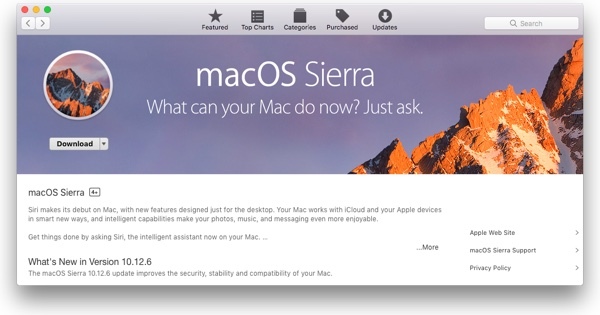 It’s also worth noting that to make a bootable macOS installation of High Sierra, you’ll have to have already upgraded in order to find the download in the Purchased tab in the App Store. Even if you don’t plan to make an install disk of High Sierra right now, it’s worth downloading it – since it won’t be available when the next version of macOS ships and you’ll need it if you want to downgrade from the new version to High Sierra. Plug a suitable USB stick or external hard drive into your Mac. Launch Disk Utility, and select the volume you want to use and click the Erase tab. Give the disk a name and choose Mac OS Extended from the format menu. Then launch Setapp, search for Disk Drill, and run it. Once Disk Drill has launched, click on Create boot drive, and then select OS X/macOS installer. Read the notes on the next window, then click Ok, let’s do it. Disk Drill may locate the installer file automatically. If so, it will be displayed in the window. If it’s not, click Locate installer on disk, then navigate to your Applications folder and click on the macOS installer you downloaded before start. In the next window, click Make Bootable next to the volume you created in Step 1. Click Yes in the dialog box that opens. 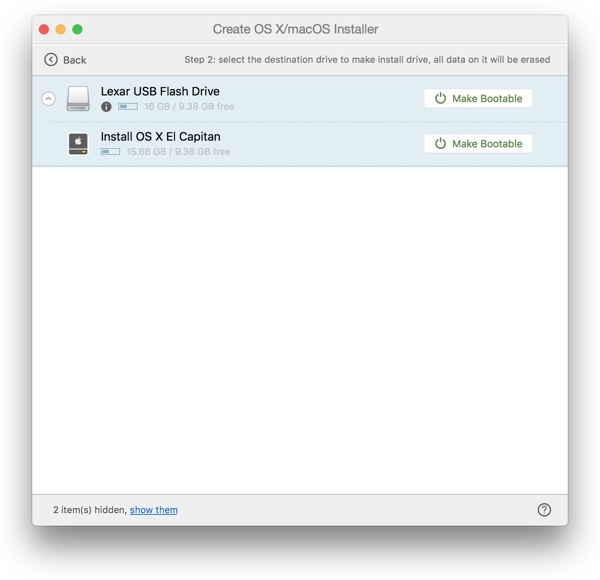 Disk Drill will start creating the bootable installer drive. Wait for Disk Drill to finish. The process will take several minutes to complete, so you’ll need to be a little patient. When it’s finished, you’ll see a window appear with instructions on how to boot your Mac using the new install disk you created. You don’t have to use Disk Drill to create the bootable macOS installer, though it’s much easier if you do. 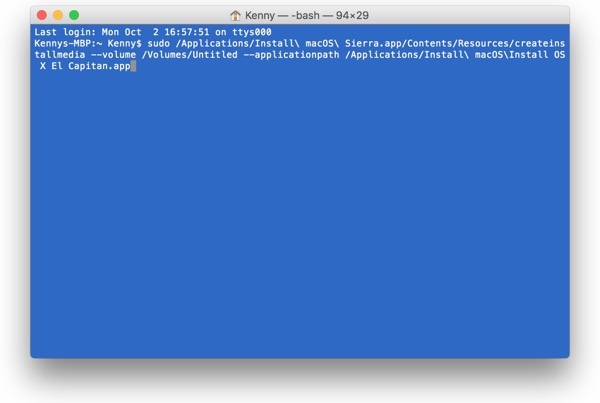 As we mentioned earlier, the other method is to use Terminal. Here’s how to do it. Follow the instructions in Steps 1-2, above. When you name the USB drive in Step 1, call it ‘untitled.’ That’s important in order for the Terminal command to work. Launch Terminal. It’s in the Utilities folder in Applications, or you can launch Spotlight and type Terminal into its window, then hit Return. Hit Return. When Terminal asks for your user password, type it in. Then, when it warns that it’s about to erase the drive, press Y. Terminal will now erase the drive and then install macOS onto it. When it’s finished, you’ll see the words ‘Copy complete’ and ‘Done’. Whichever method you used, you’ll now have a USB stick or external drive with a bootable version of macOS on it. The next step is to test it. Go to System Preferences, click Startup Disk and choose the install disk you just created. Alternatively, restart your Mac and hold down the Alt key, then select the new install disk when you’re given the option. If everything worked ok, your Mac will boot using the new installer.